Welcome to my last post of 2018. I hope everyone is well and has had a good year. 2018 has been fantastic for me and even if I haven’t been able to respond to everything, I’ve still had fun and made friends. I wrote a piece for V-Cinema about my cinematic highlights and I’ve adapted parts of my entry for this post. 2018 was the year of “I haven’t achieved my dream yet but I do what I want”. I travelled back to Japan for a second time and spent a month in the country, visiting places from Kawagoe to Onomichi and some things in between and I worked at the Osaka Asian Film Festival again. I’ve become involved in more than just Kotatsu, I have become part of other festivals in Europe and America which is so much fun and such an honour because I love films. I have also continued to contribute to V-Cinema and Anime UK News, typically highlighting indie gems, many of which form my top ten titles of the year. To summarise what I have experienced in terms of cinema, I have contributed to V-Cinema’s end of year post which will be out soon. Hello everyone, welcome to the last trailer post of 2018! I hope everyone is having a great holiday period or are about to have one! My Christmas was okay. Quiet. I didn’t watch many films but I did practice a lot of Japanese and mastered some difficult kanji which I can write from memory! 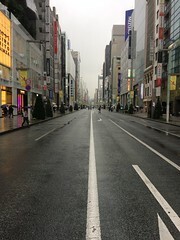 We are coming up to the new year and so people in Japan are preparing for Hatsumode and people in the west, well, we’re preparing for parties. Now is a time for reflection, a time to put negative things away and to make the promise to do better. Life is a learning experience and the important thing to remember is to keep trying to be better. In my case, braver and kinder and more organised so I can learn and understand much more. In terms of film posts, just one this week: Love and Peace (2015) which is the ultimate Christmas movie. Expect more to come before the year is out. What is released this weekend in Japan? Just one film but next weekend has a lot more! What is the film??? Ryoichi Suzuki (Hiroki Hasegawa) once dreamed of becoming a punk rock star but he gave up on his dreams and became a salaryman at a musical instrument parts company in Tokyo. Life is miserable because he is bullied by his colleagues and he has no friends but he has feelings for a timid office lady named Yuko Terashima (Kumiko Aso) whose bravery and kindness keeps him from going insane. Alas, he can’t express himself to her but fate soon strikes! I’ve been pushed for time this week because Christmas is approaching and parties have been happening. I’ve also had to do a lot of shopping. I had planned to spend December practising my Japanese, French and English and maybe playing a game (90s JRPGs I’ve had on the backburner) but the month has slipped by. At least I got lots of Christmas cards and saw lots of smiles. I’ll practise the languages some other time and run some sets on Capcom vs SNK tonight. 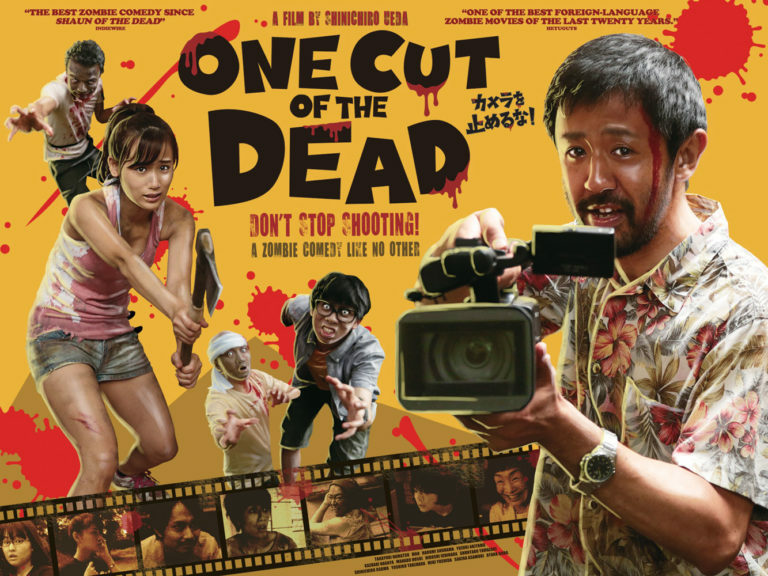 This week was me on a holding pattern as I published news on the next Japan Foundation Touring Film Programme and also information on Third Window Films’ theatrical and home release of One Cut of the Dead (2017). What is released this weekend? The biggest surprise hit of 2018 is a low-budget zombie movie which has become one of the biggest box-office hits in Japan. International film outfit Third Window Films are bringing this “one-in-a-million success” to UK cinemas and homes early next year! 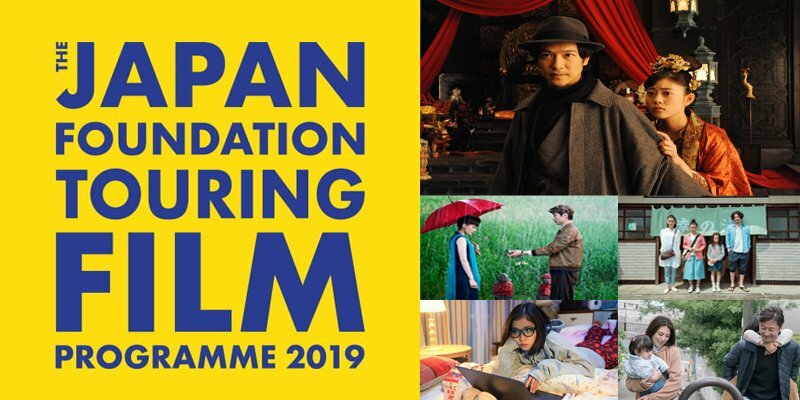 The Japan Foundation have announced the details of their next Touring Film Programme and it is full of fantastic films! The tour lasts from February 02nd to March 28th and the theme that connects them all is “love”. The stories address that emotion in a variety of ways through a broad variety of relationships. Love can be found in all shapes and sizes and it can also be an absence. What cannot be denied is that it is a powerful emotion and there are many powerful films that display this. Amidst the works are stories of couples struggling to relate to each other, a father and his children overcoming differences, brothers and sisters who barely get along, a wife struggling with a husband that has no affection for her, a gay couple who run a law firm who support those on the margins of society and more. Expect to understand the complexities of Japan, from Tokyo to Osaka and Aguni (an island off Okinawa) and further afield. I’m definitely going to see some of these before I jet off to Japan again. I’ve finished another 12-day work week and I’m feeling dandy. I’ve started my Christmas shopping and card writing late but it is under control and I’m looking forward to having time off work to relax and eat and play games. I hope everyone is going to be doing something fun as well. I managed to post reviews for two documentaries, the first being The Emperor’s Naked Army Marches On (1987) and the second was The Oyster Factory (2016). Earlier in 2018 I had the chance to see three of Kazuhiro Soda’s early films which he made as a student at New York’s School of Visual Arts in the 90s and was surprised to discover he started out making a comedy and dramatic short films with well-contained stories and acting. He is still based in New York but is now renowned for observational documentaries having produced works of the cinema vérité variety that look at communities in Japan starting with Democracy (2007). The Oyster Factory was one I first encountered in the 2015 run of the Vancouver International Film Festival. This 145 minute film looks at life inside an oyster factory and as Soda explores this environment he discovers wider issues about the generational divide through the lack of young people entering the industry and Chinese-Japanese relations as Chinese workers are brought in to help keep two oyster factories running. The Emperor’s Naked Army Marches On is regarded as one of the finest documentaries ever made. It derives its power from its subject, a World War II veteran and political agitator named Kenzo Okuzaki who is on a quest to expose a possible war crime as well as the irresponsible actions of Emperor Hirohito, the military, and post-war governments who carelessly tossed away the lives of their people and have imposed a sort of nation-wide amnesia over the wrongs committed during the war including the killing of their own soldiers.